After finishing The Order: 1886 in 2015, I was one of the very few who couldn’t wait for a sequel. The world that developer Ready At Dawn had created was ripe for storytelling and the engine was already in place for a quick turnaround with The Order: 1887. But it wasn’t meant to be, and the California-based developer instead decided to create a smaller title, Deformers, with GameStop’s GameTrust publishing arm. What could possibly go wrong? 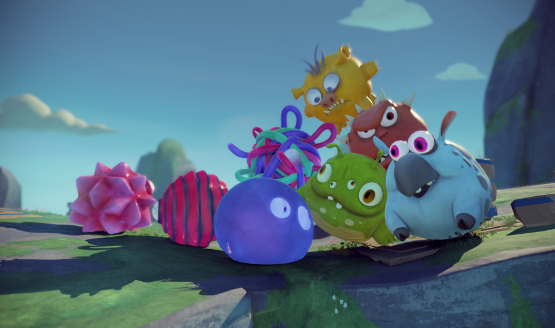 Deformers moves away from the grim and grey of The Order’s cobbled streets to an infinitely more colorful utopia filled with all types of whacky creatures. These creatures, known as Forms, take part in eight-player brawler matches across an array of maps and modes. Players are tasked to shoot and smash their way to victory in both team and free-for-all deathmatch modes. But don’t let all the spectacle trick you, because while Deformers certainly looks like a modern day Twisted Metal with a hint of Smash Bros., it’s anything but. When its mechanics, features, and mission objectives come crashing together, Deformers turns into a game of sheer madness. Players choose a Form to play with as well as one of five classes: the Marksman class that has increased shooting accuracy, the Striker that can ram opponents a long way, the beastly Guardian who can block a barrage of fire, the self-explanatory Speedster class, and your well-rounded Ranger class that’s sort of good at everything. Getting more kills than your enemy in best-of-three games sounds like a simple task, until you’re actually in the thick of it. The game’s shooting controls are completely wonky and have a sort of momentum to them that the player must account for, making them a useless strategy for victory. That’s compounded by the ramming ability having limited use as well due to the sheer speed of the Forms dashing across the small maps. It really only leaves the timed power abilities that spawn across the map to be the only viable strategy. Players that choose the Guardian class might look to pick up the dead remains of their foes to get larger and physically impose themselves, but due to short lifespans even that isn’t a consistent strategy to guarantee some semblance of success. The consequences of these inconsistent design decisions are matches that devolve into which side happens to get one more kill than their opponents, and that isn’t fun. Add to that, the game’s matchmaking issues have booted me from a number of matches since launch. At one point, I was disconnected from a match only to then see it being played with an error message plastered over the screen. Losing all of your XP is one thing, but with the game’s customizable suite I also lost the chance to get more loot in the way of cosmetic items for my poor starter blob that looked like everybody else. It isn’t exactly encouraging and didn’t put me in the mood to jump back in. Deformers is a game of frustration, and that becomes more prevalent the more time you sink into it. What should have been the frantically fun game its trailers made it look like is instead hampered by nonsensical design decisions. Loose gunplay, overall randomness, and a refusal to explain systems and mechanics early on results in frantic games where nobody really knows what they’re doing. Deformers feels like a bunch of ideas that were never properly turned into a cohesive game that actually makes sense. It’s all mayhem with no consistency, and when cool things do happen, like when the map geometry physically tilts from one side to another and dramatically changes how you play, it ends up becoming even more annoying and not worth the spectacle. 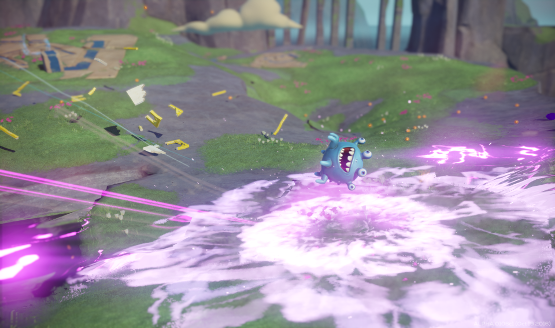 There’s no rhyme or reason to Deformers’ design, and that becomes quite apparent when you fall from the sky and drop in to the very first game. Now what if I told you that amidst all of this, Deformers decided to throw in a Rocket League-type soccer mode? Seriously. Oddly enough, it was probably the most fun I had playing the game. However, the dash ability, that’s an absolute must use in this mode, is severely hampered by the inability to dash towards a direction that the players camera is not facing. You have to take your eye off the ball and off the position of your teammates and opponents to dash in the opposite way of the ball. This doesn’t make much sense in a such a frantic game where the ball is being launched in different directions at any given moment and is just another example of the inconsistent design decisions that plague almost every aspect of the game. That’s only compounded by the slow pace of the ball when you attempt to pick it up and toss it into the net, only for an opponent to inevitably stop it from rolling into the net. 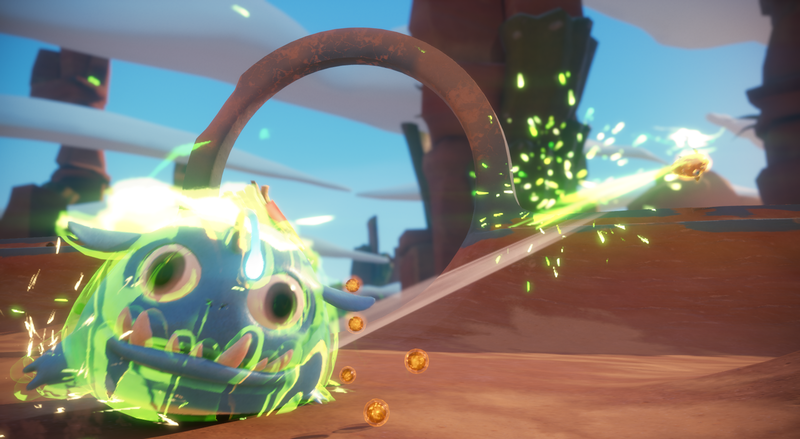 Deformers doesn’t seem to know what it wants to do or what it actually is, and every match feels like eight players running around with their heads cut off. Truth be told, I did see a progression in my tactics the more I played the game. However, due to the inherent randomness that seeps through the very fiber of Deformers, I would go on to perfect a strategy only for it to be completely useless in the span of a single round. Looking to use the pesky Speedster class to get a jump on your opponents and pick them up from behind before tossing them out of the arena? Well, too bad, because now everybody in the damn lobby is doing the same thing and dashing away at the first sign of danger, which then creates a total non-match as the time runs out. Maybe you’re looking to take advantage of the heavy-hitting Striker class’ dash attack? Wrong! Now every fat blob on the planet is aware of the prevailing ‘strategy of the round’ and has their fingers locked on the dash button to hop right back in. There seems to be no consistent through line in Deformers. There’s no ability that plays off another to create a simple rock-paper-scissors scenario. And even when that does happen in limited instances and you successfully use the lift ability to toss someone out of the arena, it was more than likely because they were fumbling with the game’s epileptic controls and couldn’t either jump back or dash in time. The closest mode to a competently designed game is somehow Form Ball, and that’s simply unacceptable in a game that claims to focus on the ‘brawler’ bit. But at least you can put cute top hats on your pancake Form. Accessed through the Workshop tab, what Deformers most certainly gets right is allowing the player to customize their Forms to some hilariously ridiculous levels. Players earn Strands that can be used to unlock new Forms or can exchange said Strands for 2,000 silver a piece to attain cosmetic gear in the way of hats, eye wear, taunt sound effects, emotes, and tags. Seeing a giant ball of spaghetti adorning a jester’s hat and night vision goggles coming right at you is a hell of a sight. The only other thing Deformers gets absolutely right is its glorious soundtrack made of up of dancing flutes and forceful percussion that give matches an upbeat tone. 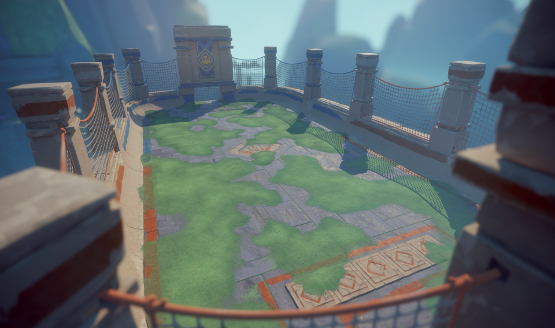 Whether it’s due to some of the worst teammates I’ve had the displeasure of playing with not being able to grab a ball and direct it towards the opponents net, or a series of deathmatch skirmishes that descended into games of catch me if you can, or most likely the painfully inaccurate shooting mechanics, Deformers is a frustrating game with fleeting moments of fun. But those fleeting moments of fun are still fun all the same, and I really don’t believe Deformers is a bad game. Frustrated as I was during a few Form Ball matches, I was still invested and focused on them, and prancing through a few opponents to pop the ball into an empty goal is an incredibly satisfying feeling. So is smashing into another Form and sending their soon to be carcass miles into the air will never get old, but these moments are exceptions to the rule. Deformers has a broken and inconsistent core, and I can’t fathom how any future patch or update can change that. Review code for Deformers provided by publisher. For more information on scoring, please read our Review Policy here.